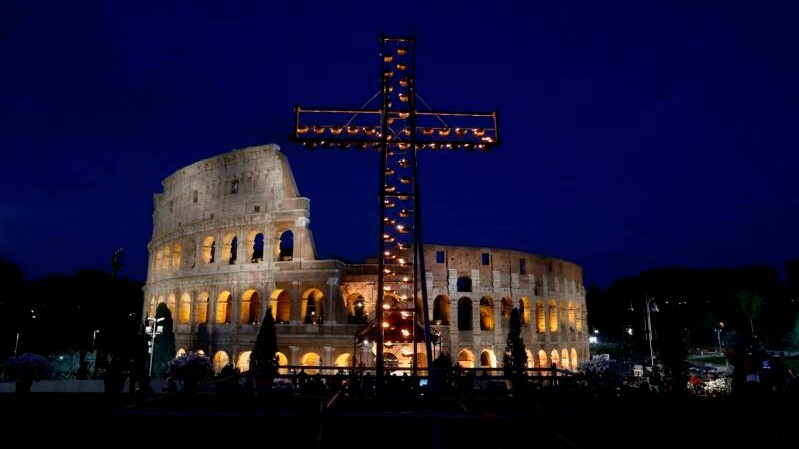 (Vatican Radio) Migration and drug trafficking, the reform of the Curia, the challenges of the Synod for the Family and the need to make the Church a safe home for all children and vulnerable adults. 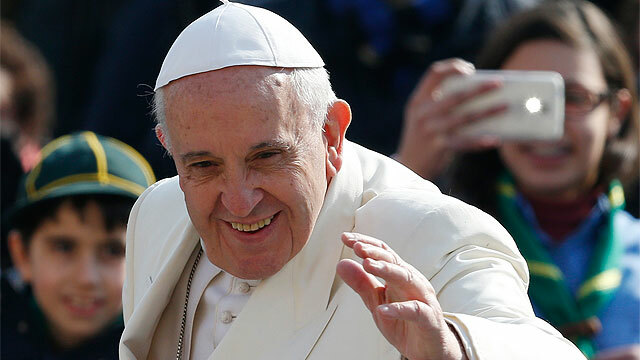 In a wide-ranging interview with Valentina Alazraki, from the Mexican broadcaster Televisa, Pope Francis has marked the second year of his pontificate by addressing the hot topics that have dominated public discourse since his election to the papacy, revealing details of the Conclave that made him the 265th Successor of St. Peter. It was the Holy Father’s choice that the interview with the Mexican broadcaster take place in Casa Santa Marta, in the room where the his Council of Nine cardinals hold their meetings and which is dominated by a large image of the Virgin of Guadalupe. Indicating the image the Pope explained that the Mexican Virgin is a "source of cultural unity, which leads to holiness in the midst of so much shame, so much injustice, exploitation, and so much death." The interview begins with the question as to why a stop in Mexico was not scheduled as part of the papal journey to the USA for the World Day of Families in September. The Pope replies that he thought of entering the United States through the border with Mexico. But going to Ciudad Juarez or Morelia without visit to Our Lady of Guadalupe would be perplexing for Mexicans. The Pope also says he cannot pay a fleeting visit to Mexico, any visit to the nation and its people would need at least a week and he promises to pay a visit as soon as possible. The journalist asks the Pope, as the son of immigrants, for a reflection on what it would have meant to have entered the US via such a significant border for the phenomenon of migration. Pope Francis responds by pointing out that not only Mexicans cross that border, but people from throughout Central America, for example Guatemala, cross Mexico in search of a better future. “Today - says Francis - migration is the result of a malaise in the etymological sense of the word, the result of a hunger. The same happens in Africa, with the Mediterranean crossings, people who come from countries that are going through difficult times because of hunger, wars. 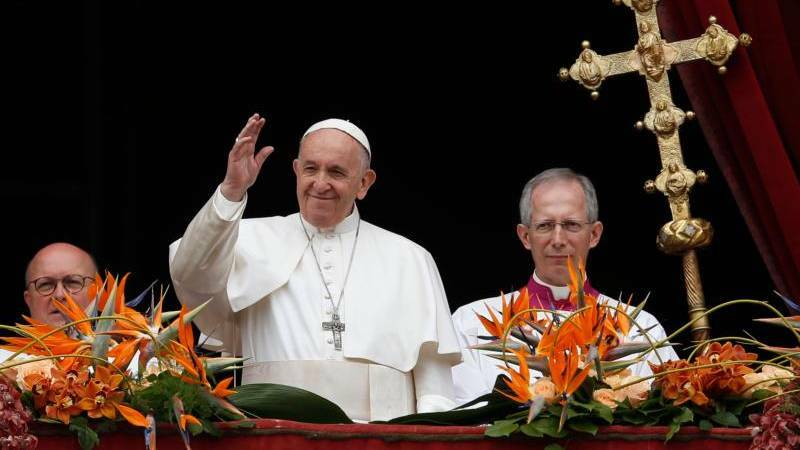 “Today – clarifies the Pope – migration is linked to hunger and lack of work. People are being discarded and forced to seek employment elsewhere." “Right now the problem of global migration is very painful. Because there are various borders of migration. I rejoice that Europe is reviewing its migration policy. Italy has been very generous and I want to say that. The mayor of Lampedusa, who is a woman, has put herself on the line at the cost of transforming the island from a tourist destination to a place of asylum and welcome. Which means earning less money. This is heroic. But now, thank God, I see that Europe is reviewing the situation. Returning to the migration across the Mexican border, the area also has ? ?problems due to drug trafficking. Morelia and that whole area is an area of ? ?great suffering, where organizations of drug traffickers are not subtle in the least. They carry out their work of death, they are messengers of death both for drugs, and their 'making a clean sweep' of those who oppose drugs, the 43 students (of Iguala) somehow are asking, I would not say for revenge, but for justice and to be remembered. And in this regard I wish to satisfy a curiosity: I wanted to make the Archbishop of Morelia a Cardinal, because he is in the firing line, he is a man who really is in a hot spot and is a witness of Christian life, a great priest. But we will talk later about the Cardinals. The journalist asks the Pope if the fact that he is Latin American makes him feel more responsible for having to give voice to the millions of people who are forced to leave their countries, cross borders and barriers world over. The Pope replies in the affirmative. He wants to be the voice of migrants and that his sensitivity towards migrants is not ideological, but it is spontaneous and comes from his personal history and his migrant parents. The journalist returns to the case of the 43 students of Iguala and asks the Pope how people can react to this difficult situation drawing on their values ? ?and cultural resources alone. The Pope recalls Mexico’s long history of saints and martyrs and reiterates the importance of committing at an altruistic level to society in order to overcome the country’s ills. The Pope says “we cannot turn away as if the problems did not concern us all and we cannot blame it all on the government or one sector, group or person, because that would be infantile." The Pope begins to speak of evangelical movements and whether these are these sects or not. What they typically offer is personal contact, the ability to be close to the people, to greet and meet people in person. He says that in Latin America a strong clericalism creates a certain distance from people. Clericalism in Latin America has been one of the biggest obstacles to the growth of the laity. 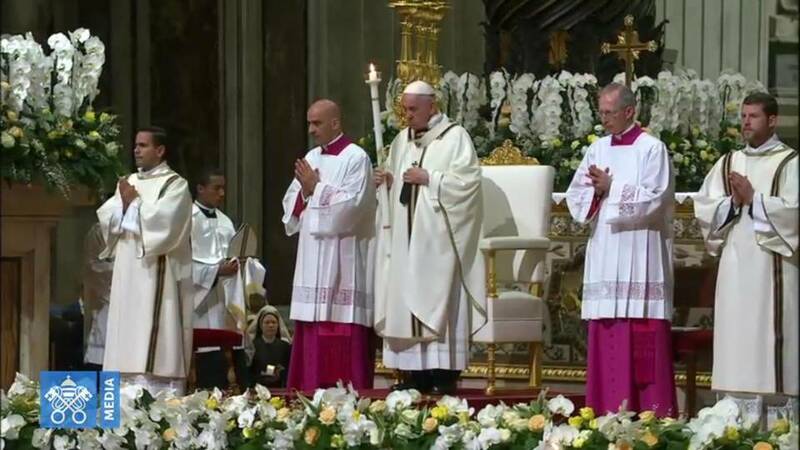 The laity in Latin America grew only thanks to popular piety, which the Pope says, has given the opportunity to lay people to be creative and free, through worship, processions etc... But organizationally, the laity has not grown enough and has not grown because of a clericalism that creates distance. Returning to the question the Pope makes a distinction between honest and good evangelical movements and those that are considered sects. For example, there are proposals that are not religious and Christian evangelicals also reject them. There are sects - some originate from the theology of prosperity - that promise a better life and, although they appear animated by great religious spirit, eventually they ask for money. You cannot generalize - says the Pope - but you have to evaluate each case. The Pope also speaks of “disasterous” homilies as another reason for the flight of Catholics. "I do not know if they are the majority - but they do not reach the heart. They are lessons in theology and are abstract or long and this is why I devoted so much space to them in Evangeli Gaudium. Typically evangelicals are close to the people, they aim for the heart and prepare their homilies really well. I think we have to have a conversion in this. The Protestant concept of the homily is much stronger than the Catholic. It’s almost a sacrament." In conclusion, the Pope says that the flight of Catholics is caused by distance, clericalism, boring homilies as opposed to closeness, work, integration, the burning word of God. And it is a phenomenon that affects not only the Church but also the evangelical communities series. The Pope concludes his discussion by citing the importance of the work undertaken between the Church and evangelical pastors in Buenos Aires. The journalist asks the Pope to speak about what happened that day two years ago when he was elected to the Chair of Peter. 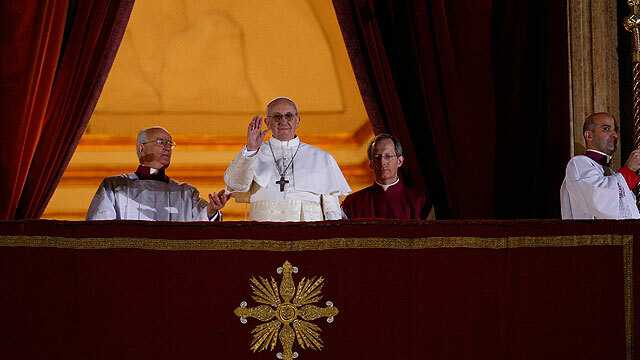 The Pope replies that he had come to Rome carrying only a small suitcase, as he never believed that he would be elected Pope, and would return to resume duties for Holy Week. 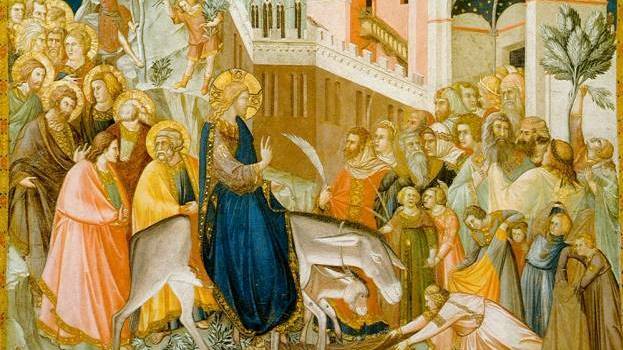 He was convinced he would return to Buenos Aires for Palm Sunday, so much so, that he had already prepared the homily, and had arrived with the minimum necessary thinking it would be a very short Conclave. He was not on any list of eligible candidates and neither had the thought entered his mind. In fact, in London bookies had ranked his name in 42nd and 46th place. Yet an acquaintance as a joke, bet on him and did very well. As for voting, the Pope said that the journalists only considered him a great elector, at most he would indicate a name and so they didn’t bother him much. Then there was the first vote, on Tuesday night, then the second and the third Wednesday morning before lunch. “The phenomenon of a conclave vote is interesting. There are very strong candidates. But many people do not know who to vote for. So six, seven, names are chosen that are a kind of depository, while people wait to see who to definitively vote for. This is how people vote when the group is large. I was not the recipient of definitive votes, but provisional ones, yes." The journalist asks if it is true that in the previous conclave he had obtained forty votes and the Pope immediately responds no. She insists on the point saying that others say so. The Pope replies: They say so, not me. A cardinal said so, says the journalist. "Well let the Cardinal say what he wants. I too can speak because now I have the authority to speak, but let the cardinal have his say. Really, until that afternoon, nothing. And then something happened, I do not know what. In the room I saw some strange signs, but ... They asked me about my health ... and stuff. And when we came back in the afternoon the cake was already in the oven. In two votes it was all over. It was a surprise even for me. In the first vote of the afternoon when I realized the situation may be irreversible, next to me - and I want to speak about this because of our friendship – was Cardinal Hummes, a towering figure. At his age, he is the delegate of the Bishops' Conference for the Amazon and is very active pastorally. Half way through the first vote of the afternoon – because there were two - when we saw what was happening, he was right beside me telling me not to worry, this is how the Holy Spirit works. That amused me. After the second vote when the two-thirds majority was reached, there was applause, there is always applause at this point in the conclaves, so he kissed me and told me not forget the poor and this phrase began to go round in my head and that's what led me to my choice of name. During the vote I was praying the rosary, I usually pray three rosaries daily, and I felt great peace, almost to the point of insentience. The very same when everything was resolved, and for me this was a sign that God wanted it, great peace. From that day to this I have not lost it. It is 'something inside’ it is like a gift. I do not know what happened next. They made stand up. They asked me if I agreed. I said yes. I do not know if they made me swear on something, I forget. I was at peace. I went to change my vestments. And I went out and I wanted to go first to greet Cardinal Diaz, who was there in his wheelchair and after I greeted the other cardinals. Then I asked the vicar of Rome and Cardinal Hummes to accompany me. Something that was not planned in the protocol. Then we went to pray in the Pauline Chapel, while Card. Tauran announced my name. After I came out and I did not know what to say. And you are the witnesses of everything else. I deeply felt that a minister needs the blessing of God, but also that of his people. I did not dare to ask the people to bless me. I simply said: pray that God may bless me through you. But it came out spontaneously, also my prayer for Benedict." Do you like being Pope? What do you like or do not like about being the Pope? Or do you like everything? "The only thing I would like is to go out one day, without being recognized, and go to a pizzeria for a pizza." No, I say this as an example. In Buenos Aires I was a rover. I moved between parishes and certainly this habit has changed... it has been hard work to change. But you get used to it. You find a way to get around: on the phone, or in other ways ..."
"I have the feeling that my Pontificate will be brief: 4 or 5 years; I do not know, even 2 or 3. Two have already passed. It is a somewhat vague sensation. Maybe it's like the psychology of the gambler who convinces himself he will lose so he won’t be disappointed and if he wins, is happy. I do not know. But I feel that the Lord has placed me here for a short time, and nothing more ... But it is a feeling. I always leave the possibility (to programs) open." You also told us that you will follow the example of Pope Benedict ... This changes a bit 'the idea' of ? ?the papacy, because we used to think that the pope was an institution created by the Holy Spirit and to the death. 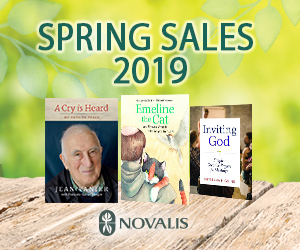 "There were some cardinals who prior to the conclave, in the general congregations, probed the very interesting, very rich theological problem. I think that what Pope Benedict did has been to open a door. 60 years ago there were no emeritus bishops. And now we have 1400. They came to the idea that a man after 75, or close to that age, cannot carry the weight of a particular church. In general I think what Benedict so courageously did was to open the door to the Popes emeritus. Benedict should not be considered an exception, but an institution. Maybe he will be the only one for a long time, maybe he will not be the only one. But an institutional door has been opened. Today the Pope Emeritus is no longer a rarity since a door for him to exist as a figure has been opened." Can you imagine a situation where a Pope retires at 80 as is the case with bishops? "I can. However, I do not really like the idea of ? ?an age limit. Because I believe that the Papacy is a kind of last instance. It is a special grace. For some theologians the Papacy is a sacrament. The Germans are very creative in all these things. I do not think so, but I want to say that it is something special. To say that one is in charge up to 80 years, creates a sensation that the pontificate is at it’s end and that would not be a good thing. Predictability. I would not support the idea of ?putting an age limit on it, but I share the idea of ? ?what Benedict did. I saw him the other day at the Consistory. He was happy, content. Respected by all. I visit him. Every so often I speak with him on the phone. As I said, it's like having a wise grandfather at home. One can seek advice. Loyal to the death. I do not know if you remember when we parted February 28 in the Clementine Hall, he said, my successor is among you, I promise loyalty, fidelity and obedience. And he does. A Man of God." "I think this is the last court that remains in Europe. The others have been democratized, even the most classic among them. There is something in the papal court that maintains a somewhat atavistic tradition. And I do not say this in a derogatory way, it is a question of culture. This must be changed, the appearance of a court can be maintained, while being a working group at the service of the Church. 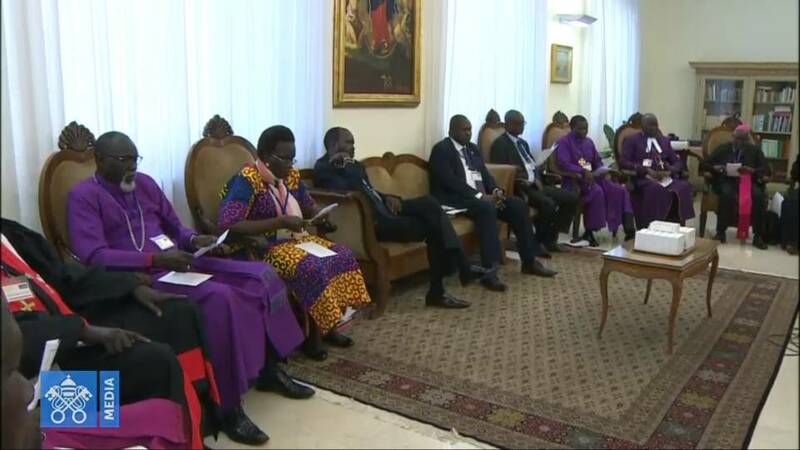 At the service of the bishops." Recalling all the questions that raised moral and ethical issues in the Vatican (Vatileaks etc…) he argues that there is a need for a conversion on a personal level and that it must begin with the Pope himself to remedy the situation. On the topic of the Synod for the family the journalist asks the Pope whether he will promote changes in the field of communion for divorced and remarried, and on homosexuality. The Pope responds by arguing that there are enormous expectations. As for the Synod and the choice of the theme, Francis retraces the steps that led to the formulation of the synod topic, mainly because of the serious difficulties that the family is experiencing in society, and in particular among younger generations. 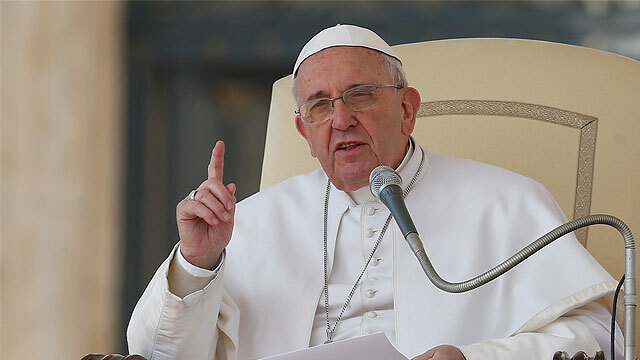 Reflecting on the crisis of the family, the Pope said he believes that the Lord wants us to address some specific problems: marriage preparation, support for cohabiting couples, accompanying newlyweds, support for those who have failed marriages and new unions. The importance of understanding the sacrament of marriage to prevent many marriages becoming more a social event rather than one of faith. On the issue of child abuse and zero tolerance of the phenomenon. The Pope replies that the Commission [for the Protection of Minors, which he set up in 2013 – ed] is not about abuse but for the protection of minors. That is, prevention. The problem of abuse is a grave one, with most cases of abuse occurring in the family sphere or involving other people who are known to them. Even one priest committing abuse is sufficient reason to mobilize all structures of the Church to confront the problem. Indeed, it is a priest’s duty to nurture a little boy or girl in holiness and in their encounter with Jesus and what they [abusers, -ed] do is destroy this encounter with Jesus. Francis talks about the importance of listening to victims and speaks of his experience of meeting with 6 survivors of abuse in the Vatican. The Pope says the interior destruction that they experience is devastating and even one priest who is guilty is enough to make us all ashamed and commit to doing all that is possible. Pope Francis also acknowledges Benedict XVI’s courage in publically stating it is a crime to destroy an innocent creature with such actions and Pope Saint John Paul II’s in having started the work of reporting such crimes.